By now you’re all fully aware of my love for Summer Grilling. It doesn’t matter if it’s chicken, steak or shrimp, we’re sure to put together a fabulous meal! One of our absolute favorite meats to work with is good ole beef, which is perfect for #PrcieChopperBBQ with #CollectiveBias! There’s nothing quite like a juicy hamburger to get me excited. I shared our Southern Cole Slaw last week and promised that I would share with you the Burger Bar that we had at Avery’s first birthday party. 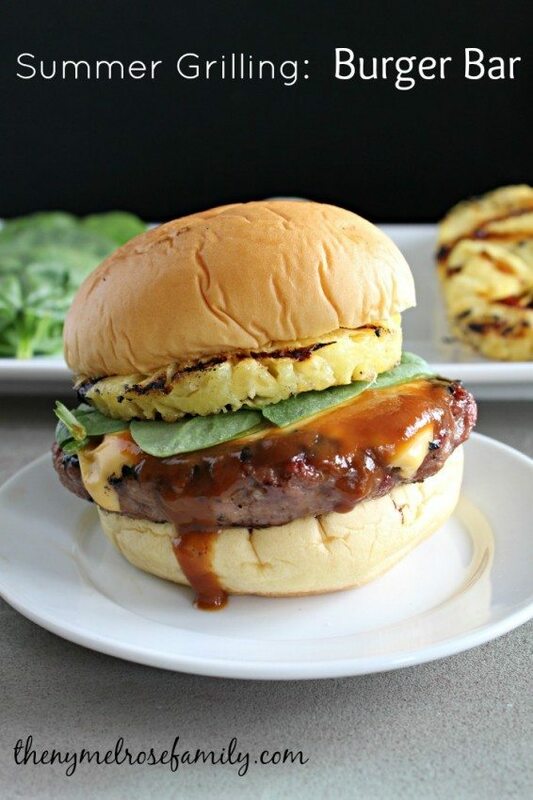 I’m going to kick it up a notch and share with you my Hawaiian Burger that’ll have you setting up our Burger Bar TONIGHT! Such a fun idea!! Our family likes so many different things, that this is perfect for us! YUM!